today i’ve tested the IGEL UDC solution together with the Asus EeePC 1011PX (http://www.asus.com/Eee/Eee_PC/Eee_PC_1011PX/) and it works great, i’ve used the IGEL Universal Desktop OS Version 4.08.500 and only the Installation was tricky; the onboard network card is not supported and the IGEL UDC won’t install the Universal Desktop OS. So i need to install the UDC in a virtual computer first, spoof the MAC-ID, deploy the License from the UDC Token thru the IGEL Universal Management Suite and copy then the license file to me EeePC by hand. To get the IGEL License for the device i enabled the onboard WiFi Chip (it works… WPA/WPA2 tested) and then i was able to assign the license via the IGEL Universal Management Suite (i’ve used the official IGEL UDC Token with three advanced Licenses from the Partner NFR Kit on it and i still need to do a trick with an other virtual client with a spoofed Mac-ID (from the WiFi chipset) to finally create a license file for my WiFi Mac-ID). It would be really great if IGEL allows or better recognize the WiFi Card for the UDC Token to create a license too. On the other side, if you know the Mac-ID you can get a ready to use license File from IGEL directly but you can’t deploy it thru the UMS without tricks regarding the fact that the UMS will also always take the onboard network card…. So you need to copy it by hand like i do in this case. Please IGEL: Make this more simple a none technical and well trained person can’t do this without manuals! Good after loosing time for the Mac-ID problem i proceed to the next tests including the results.First i’ve enabled the option to enable the native Graphic Card driver in System->Custom…->Features->Enable native graphic Driver support and it works again incl. Dual Monitor support – cloned and expansion. Great and one funny thing, you can´t select the resolution 1024×600 in the IGEL Setup but if you keep the “Automatic detection” setting it will work in the native 1024×600 resolution. No i’ve tried to use the Audio Card, so i’ve done a Browser Setup incl. the flash player which works out of the box for Audio Playback.To test the internal Webcam i’ve installed the Skype Static Binaries via the IGEL Custom Partition feature and also this works incl. Webcam support; means it should also work with HDX Webcam redirection. When i’ve done a Skype call also the inbuild microphone works fine out of the box.The internal SATA Controller is also recognized by the system and the inbuild SD Reader works fine too. So if you need a mobile thin client without the need to use the onboard ethernet controller, you really have a cool option here. 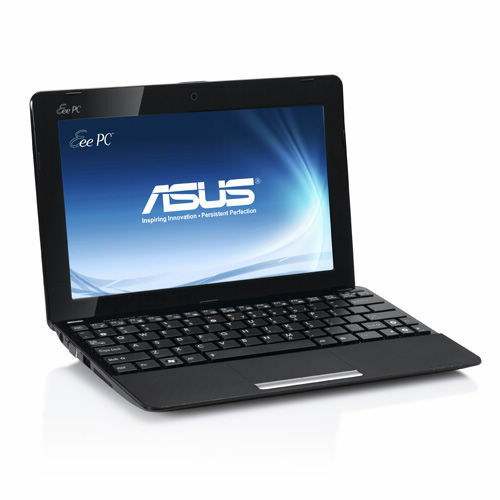 Of course Asus can change this device and i can’t guarantee that this will work always in the same way (don’t blame me). But it’s worth to check this out if you’ve a requirement like this. Today i got the first time to play around with the IGEL Thin Clients and Windows Server 8 Beta. – [ICA]: Fixed ICA client printer mapping. At the CeBit 2012 in Hannover IGEL introduces a new Thin Client device using a ARM CPU and it also provides an additional Digital Signal Processor (DSP) for Multimedia Encoding following the Citrix SoC Design which was introduced at the Synergy 2012 in Barcelona. Based on this technology multimedia content can be displayed much better which improves the end user experience in general compared to other devices in this price/device class, IGEL will support Citrix ICA (HDX / HDX 3D) and Microsoft RDP (RemoteFX) sessions in the first step and other services/sessions should follow if available for the ARM technology. at the CeBit 2012 in Hannover IGEL demonstrates there distributed Display solution to provide up to 8 screens to a workplace. Iam happy to got also a prerelease Version to get a first look on the solution and iam happy to share some information’s with you. 3) The UD5 Master device needs an additional network card (currently INTEL 82574L) and you need to configure only the master, all administrative task (Firmware Update, Slave switch on, Slave configuration) will be done thru the Master! 4) The device’s require a additional licenses from IGEL for the Master and also the Satellite’s, this solution can not be used with the regular licenses (entry, standard and advanced) out of the box! – Regarding that this solutions works thru the network you can seperate displays via long distances (seperate network!! do not mix this with your production network! ), for example in showrooms. – Compared to the price for a 4 port Display Card (~1000 US$ without PC) it looks like a better pricing for a more flexible solution. – All satellites will be configured thru the master. – Displays can be arranged in the way you want it, all in one row, like a cross, a square or whatever in a very simple way thru the IGEL Setup. – Not tested but it should be possible to upgrade existing devices to the distributed display solution via an upgrade license from IGEL (of course you need to add the second network card to the master), this is only a impression from my side and i can’t say if this will be a final product feature! – slow boot time (the master will switch on the slave and you have to wait two more time compared to the regular boot time), i recommend to bypass this to a management task to wake up the master client early in the morning. – Performance can be very different, IGEL provides this solution for a UD5 as Master and for UD2, UD3 or UD5 as slave. Of course the UD2 is a very price aggressive device but from the performance point of view i would not recommend this device; here a UD3 or UD5 is the better way to go and during a PoC you should get two devices as satellite’s for your test. This is also not an HD Multimedia solution. The solution looks quite cool but it’s still some development to do and the firmware is still not public available, if you’re intrested to test this solution contact you sales contact.